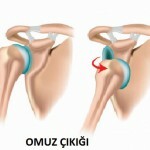 Shoulder joint is the joint of the body which performs the widest movement. It is one of the joints where the dislocation is highest. Whereas shoulder dislocations may have different reasons, the most frequent one is that which is due to trauma. Traumatic shoulder dislocations are divided into 2 groups, being anterior dislocation and posterior dislocation. 96% of all shoulder dislocations comprise the anterior dislocations. 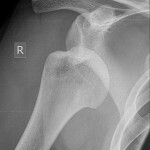 The first shoulder dislocation is generally seen in young ages. Treatment of a patient who has shoulder dislocation as the first time does not required surgery. 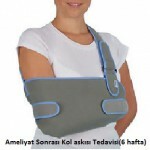 It is sufficient to use arm sling for three weeks for healing after the joint is located to its place in a closed manner. However, the situation is different in sportsman. Every sportsman wants to return back to sports as soon as possible. Surgery could be a better option for ensuring this. When shoulder dislocation occurs following trauma, the capsule which keeps the shoulder joint at its place is torn. The head of shoulder shifts outside the joint from this torn area. This is called as “BANKART LESION”. Other structures could be damaged together with the shoulder dislocation. 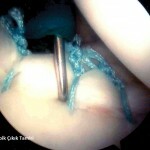 All of this damage could be treated in a closed manner with arthroscopic method. Open surgery could be required in very special conditions. In recurrent shoulder dislocations, the joint may dislocate without tearing depending on the looseness of the capsule. In such conditions, physical treatment methods as well as strengthening of structures surrounding the shoulder should be tried. With the standard shoulder MRI taken in the early period, structures which are injured following the shoulder dislocation could be seen. However, MRI that is done by applying drug inside the joint, which is called arthro MRI , could be required following repeated dislocations. 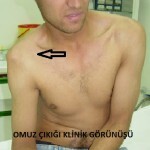 Shoulder dislocation frequently depends on BANKART lesion. This could be repaired with arthroscopic method (closed surgery). The arm is put in an arm sling for healing of the stitched structures for a period of 6 weeks following surgery. At the end of 6 weeks, the arm sling is removed and physical treatment starts.